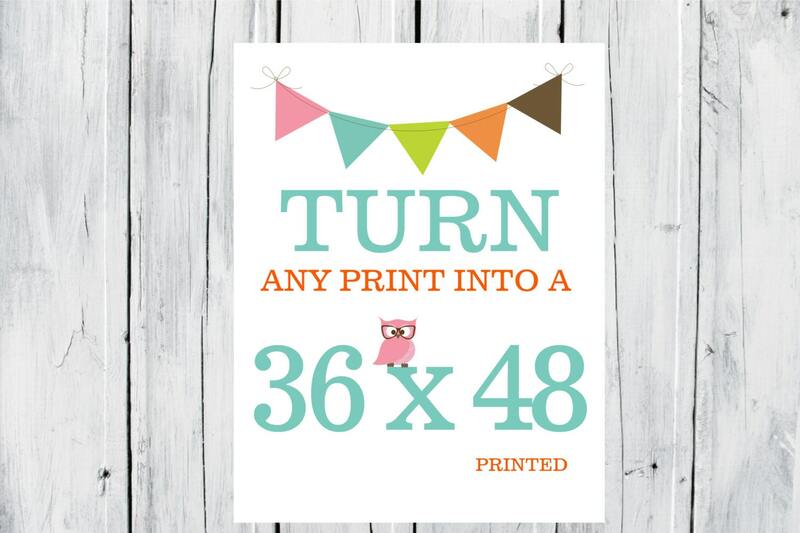 This listing allows you to turn any print in my shop into a 36x48. Simply purchase this listing and leave me a message with what print you would like, include any info relevant to that print, such as colors, names, letters etc. Within 1-3 days after purchase a draft will be sent to you via ETSY conversation. Please make sure to check for the draft. Once I get your approval I will print and mail. I will ship this USPS in a cardboard tube.